As a site that would rank the Death Wish film series as one of America's greatest cinematic achievements, we are always here for blood-soaked revenge thrillers. 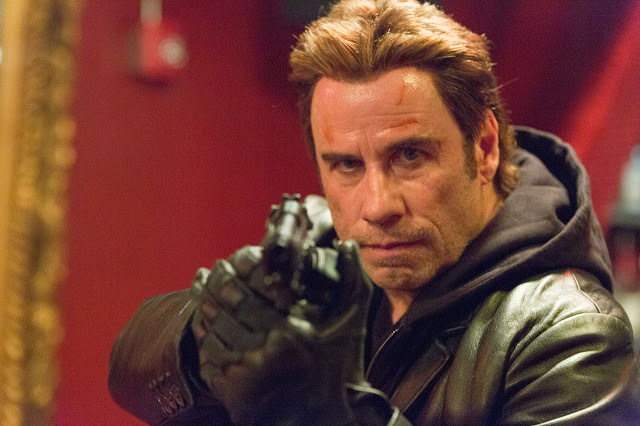 Someone who appears to share our line of thought is John Travolta who is the latest sixty-plus star to hop aboard the subgenre with I Am Wrath and he's brought some dubious hairplugs with him. Travolta stars as a recent-widow out to kill the men who murdered his wife. It's familiar stuff, but we're here for Travolta showing an edgier side. Christopher Meloni, Rebecca De Mornay & Sam Trammell co-star in this film directed by Chuck Russell. I Am Wrath hits DVD, BR & VOD May 16th.